Beginning Saturday, Sept. 30, work crews will be performing construction activities in the courtyard area of Building B.
BHM, the general contractor, will manage the project to remediate rain leaks from courtyard planters into the building’s classrooms and offices. 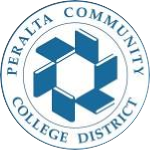 Laney College and Peralta District General Services personnel will oversee the work until its completion at the end of the 2017 Fall Semester. To minimize impact to the campus, construction activities will be mostly conducted in the late afternoon and on weekends. For added safety and security, work areas will be fenced and only BHM crews, and designated Laney and Peralta personnel will have access to construction areas. As remediation activities take place at Building B, other areas will be inspected and investigated for leaks that will be fixed during the spring and summer of 2018. We apologize in advance for any inconvenience and appreciate your understanding as we continue to make improvements at our campus facilities. For more information, please contact the Business and Administrative Services Office at 510-464-3228 or send an email to Amy Marshall, at amarshall@peralta.edu.